'A king’s vision of beauty unleashes a curse. A father’s frustration turns to abuse. Two doves in a storm reveal a secret. 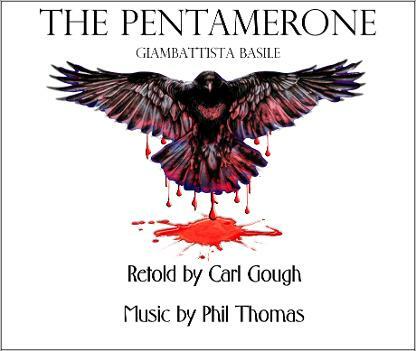 Storyteller CARL GOUGH teams up with PHIL THOMAS to provide an entertaining flavour of the 17th Century tales known as THE PENTAMERONE. These are some of our oldest fairy tales cast from an ancient mold - they certainly aren't Disney material, nor the kind of tales you'd tell the little ones!